For a long time, I was embarrassed to be called an introvert. I felt like it was a trait to be ashamed of. An acknowledgement that I was hopelessly boring. Or that I’d never be real leadership material. And it meant I had little to contribute in a group because I preferred to observe rather than say everything that came to mind. These feelings became stronger as I moved into a college setting that promoted what Susan Cain calls the “extrovert ideal” of leadership. 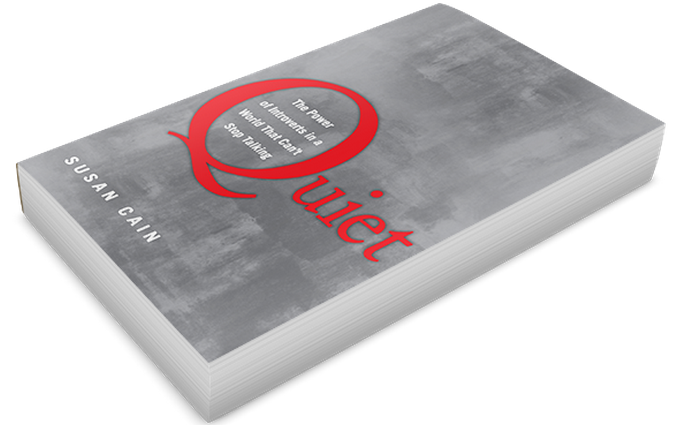 In Cain’s book, Quiet: The Power of Introverts in a World that Can’t Stop Talking, she explains that this model promotes the ideal self as one that is gregarious, alpha and comfortable in the spotlight. When I look back, I can see that environment crushed my spirit and self-worth in many ways. It told me introversion was something I needed to overcome – not embrace. And I bought into that lie for a lot of years. I often observe more details than the average person. I have the patience and ability to research a subject and know it well—an invaluable asset to a writer and marketing strategist. Because I usually think through an idea in detail before I put it out there, it’s likely more vetted and more viable than others’ who just speak off the top of their head. If I learn to hone in on my introvert strengths, research shows in many cases we’re more effective leaders than our extrovert counterparts. If someone calls you antisocial, they’re just plain ignorant. It’s OK that you sometimes prefer to stay in your room and read a book. It doesn’t mean you’re antisocial or that something is wrong with you. It just means you need to recharge your “batteries” once in a while, and retreating for a bit is a healthy boundary. When people who don’t really know you describe you as a “gentle spirit” or “soft spoken” (read: you don’t talk much in large groups, therefore you must be uninteresting or not have anything to say), remind yourself that they obviously haven’t taken the time to get to know you. And if they did, they’d discover a strong-spirited, free-thinking adventurer who has a lot to say about the world. Hating to engage in small talk is OK. I repeat. Not enjoying being in a room full of people who only talk about superficial things is not weird. In fact, there’s a whole contingent of us who hate it. It doesn’t mean we’re not sociable; it just means we prefer to spend our time talking about real ideas and thoughts rather than our latest pair of heels or yesterday’s sports scores. Your ideas have value—share them. This goes back to the introverted preference to observe and evaluate before speaking. You don’t say everything that’s on your mind, but when you do, your thoughts are usually better formulated than others around you. An extrovert is likely to present his/her ideas with gusto, but remember there’s no correlation between being the best talker and having the best ideas. You will have to learn to negotiate both worlds. Sometimes a world full of extroverts can be overwhelming and make you feel you should be something you’re not. Embrace who you are, dig deep to understand the strengths you bring to the table, and tap into those you don’t have by teaming with others who do. Once you understand your strengths, you can learn to use them well, no matter your situation. You have incredible leadership potential. If I could, I would shout this one as loud as possible into the ears of my younger self. Even though you’re in a world that idealizes an outgoing extrovert as a natural leader, know that research also points to the fact that introverts are often more effective leaders and deliver better outcomes. This means you have something important to bring to the world’s table, so don’t be afraid to step up. What about you? What’s your best advice to your younger self? If you could go back in time, what would you tell yourself about living life as an introvert? What would you add to my list?